In 2012, Shaynna joined the team of design experts as a Judge on the Nine Network’s award- winning reality show The Block. Starring alongside judges Neale Whitaker, Darren Palmer and host Scott Cam, Shaynna lends her creative expertise and invaluable advice to the teams of Blockheads vying for first place. In 2017, Shaynna returned to The Block for its twelfth series, which saw contestants take on five neglected Elsternwick homes to save them from demolition. The team will be back with more Block action in 2018. As Shaynna’s profile has grown, so too has her visibility across a number of other media platforms. 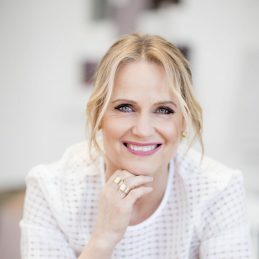 Shaynna’s expertise is highly sought-after in areas including design, colour and trends – expertise which has seen her writing columns in the Herald Sun and monthly online Q&As for The Lifestyle Channel, as well as featuring as a regular contributor for Grand Designs Magazine. With her undeniable flair for design, as well as her warm, friendly presenting style, Shaynna has grown to become one of Australia’s best-loved media personalities. In recent years, Selling Houses Australia has taken home a swag of ASTRA Awards for ‘Most Outstanding Lifestyle Program’ 2009, 2010 and 2013, and ‘Favourite Australian Program’ in 2009, 2010, 2011, 2012 and 2014. In 2013 and 2014, Shaynna beat off stiff competition to take home the coveted subscriber voted category of ‘Favourite Female Personality’. Shaynna is available as a guest speaker or host at both private and corporate functions, where she focuses both on design and our social environment and how it affects how we live and communicate.